Ah, New Years Eve. That time where we reflect on the past year, usually happy to see it in the rear view mirror, and think about all the things we will do differently next year. "I'm going to get more organized," "I'm going to lose that 10 pounds", "I'm going to get my hair cut in a timely manner" (maybe that's just me). Officially, I'm not a resolution girl, I don't tend to make them, but there are times when self-improvement or preservation need to be on the table. For example, there was a time about 3 or so years ago when I really fell out of out of being physically active beyond my walks to work (about 4 miles a day). That might sound like a lot of walking, and it's ok, but it's not enough when you just moved across the street from a bakery, an awesome Chinese food restaurant, and like food. I like food you guys. Let's just say Tiny Doom was heading towards medium or even a little large Doom. As tiny people know, a few pounds can make a big difference in how you look and feel. I thought, "I'll just start running! Easy peasy, no gym membership needed!" I had run before, but I would never consider myself a runner, it never stuck. I needed help. Friends are great for this, especially if they are more seasoned runners who can coach and motivate (shout-out to The Red Menace, Marathon Maven), but friends can't be with you all the time. You need to be able to find your own motivation. And for some folks, this is where running apps come in. There are lots of running apps, RunKeeper, Map My Run, stuff from Nike. There are apps that have sports figures cheering you on, ones that tell you your splits and miles, and ones that even let your friends chime in through social media to cheer you on. All helpful and nice, but those things are not going to get me to tie on my running shoes when it's dark and 25 degrees out. I needed something different, and thankfully I found it. 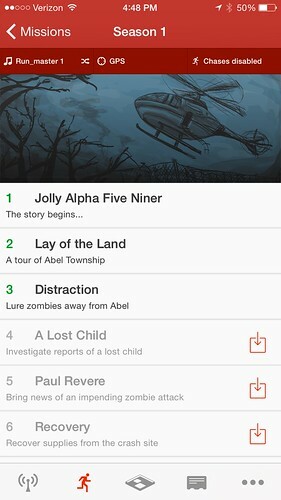 What app finally motivated me- Zombies, Run! is hands down my favorite app, and we aren't just talking running apps here. Yes, the app costs money, but it's worth it and very affordable. After all, think of this as a two-fer, a running app and a game! 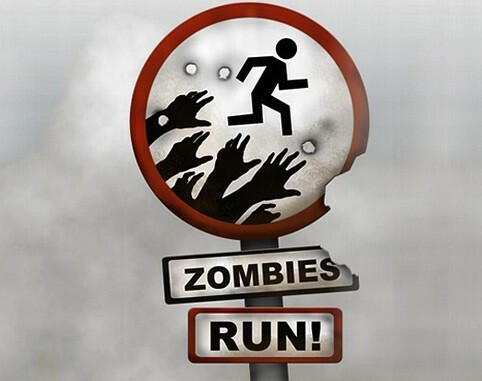 In Zombies, Run! you are Runner 5, a runner for Abel Township. You go out on missions collect supplies to build up your township and play a major part in the unfolding story, all while getting fit. What I love about it- This isn't just a running app, it's an action adventure game. For us nerdy folks, this is a little more in our wheelhouse. Some of the missions in Season 3 even have a "choose your own adventure" component to them! Don't worry, you make your choice before you head out for your run so you never have to do anything on your runs, just run and listen. While you run you collect supplies like food, water, meds, and sports bras in your never-full-can-carry-anything backpack. The highlight of this app, and what makes it so unique, is the storytelling. The Zombies, Run! crew put effort into developing their characters and having them drive a lot of the story. I'm not gonna lie, there have been some tears...crying while running pro-tip, if you pass other runners be sure to mutter something about the damn bug that flew right into your eye. Zombies aren't the the only issues you and the other survivors encounter, and this variety helps to create a vast universe to keep the story going and feeling fresh. The Six to Start crew took great care to make Runner 5 gender neutral which allows you to better immerse yourself in the story. I'm not a female version of Runner 5. I am Runner 5. And each mission (running session) starts with you heading out with the comfort of Sam Yao, your operator, in your ear guiding you though the mission. From the moment the gates raise to let you out of the township, you are in it, making friends, enemies, and generally being a hero. You can do that, right? Yeah you can! You can set your own play list to play songs in between your mission information. 1-2 songs will play depending on the length of mission you have selected. A run log will hold your all your runs so you can watch your progress (you can track in miles or km). 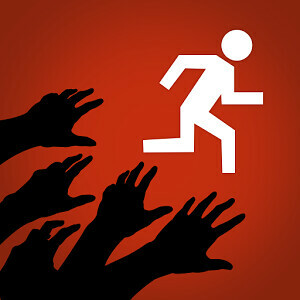 "Zombie chases" are available (and optional) for interval training, if you like being chased (I don't). There are currently three seasons available. I suggest you start with Season 1 since it is an ongoing story. Three seasons is a lot of runs so that should keep you busy. If you are nervous about just jumping in, there is also a 5K training app to ease you into running. 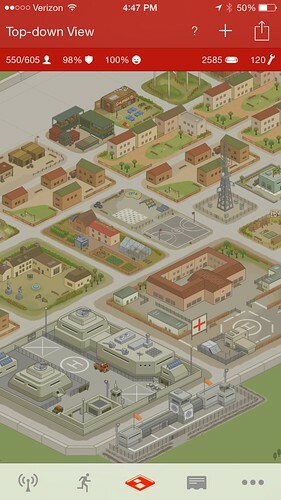 There is also a"radio mode" which is community radio for the township. This picks up if your official mission ends before you finish running. This is a brilliant way to keep you immersed in the story and sometimes running a little longer.